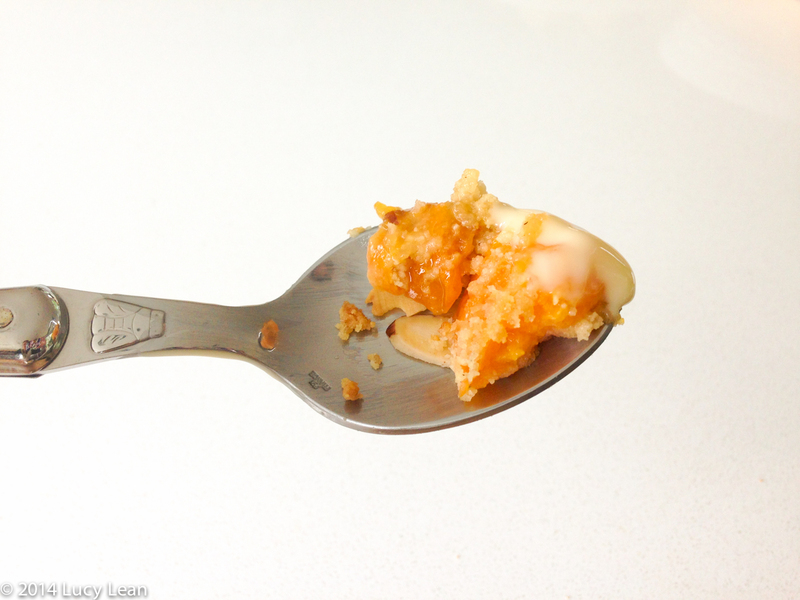 I love crumble – more than pie, ice-cream or even cake – and over the years I have perfected the recipe. 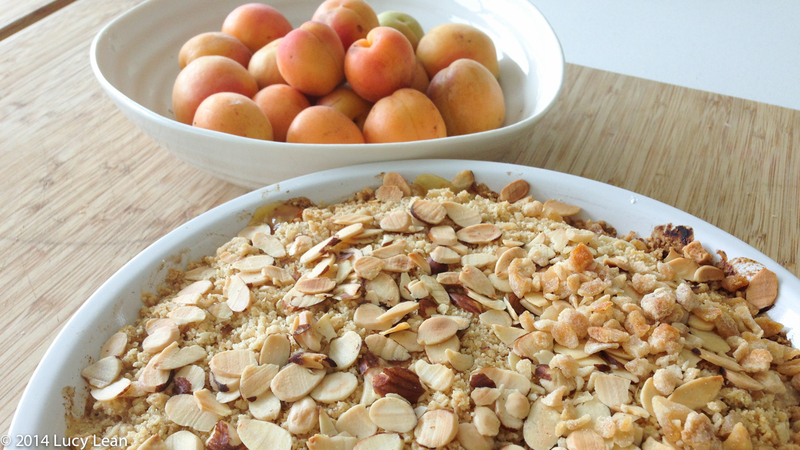 Today I want to share with you this highly tweaked recipe for my favorite crumble – you can use any fruit for the filling – from apples to rhubarb and everything in-between. 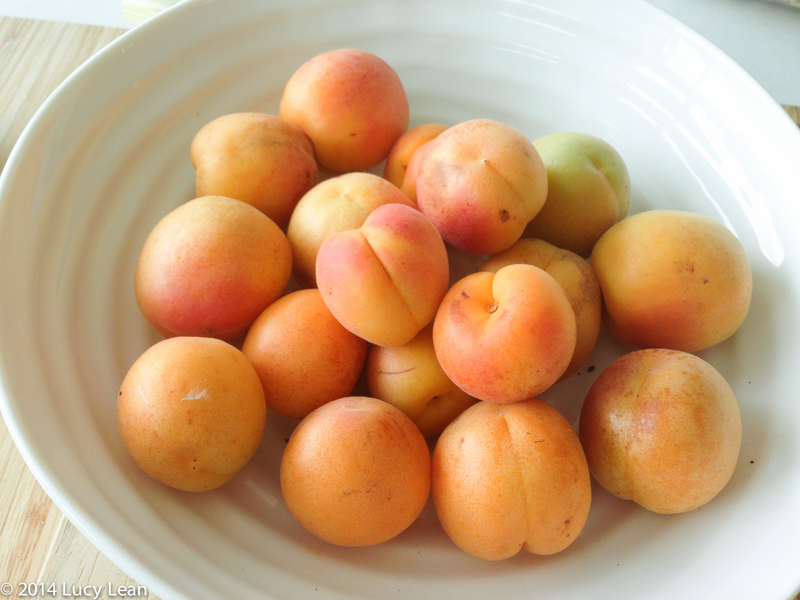 This week’s Silver Lake Farms CSA delivery included apricots – a mix of Katy Cots and Poppy – from Gama Farms. 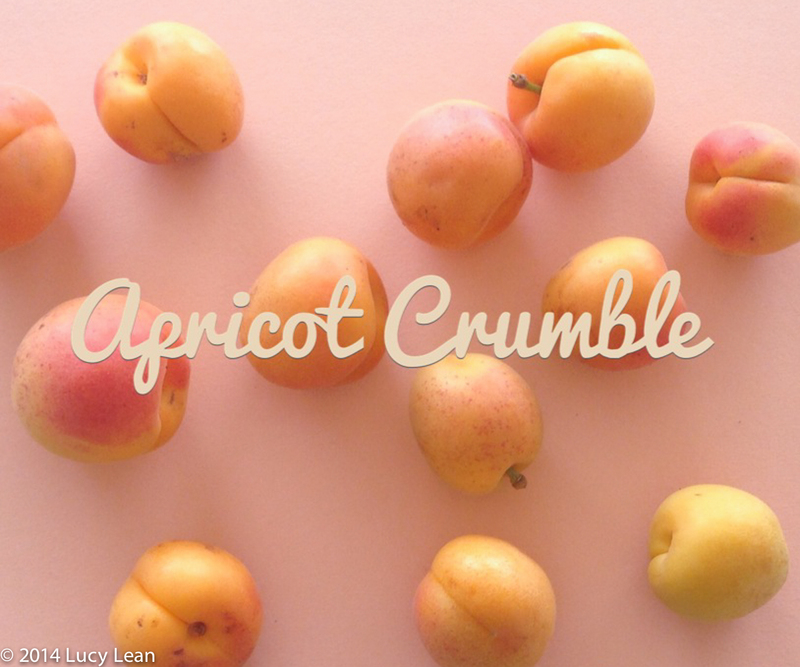 So apricot crumble it is! 1. Heat the oven to 350 F with a baking tray on the middle rack. 2. 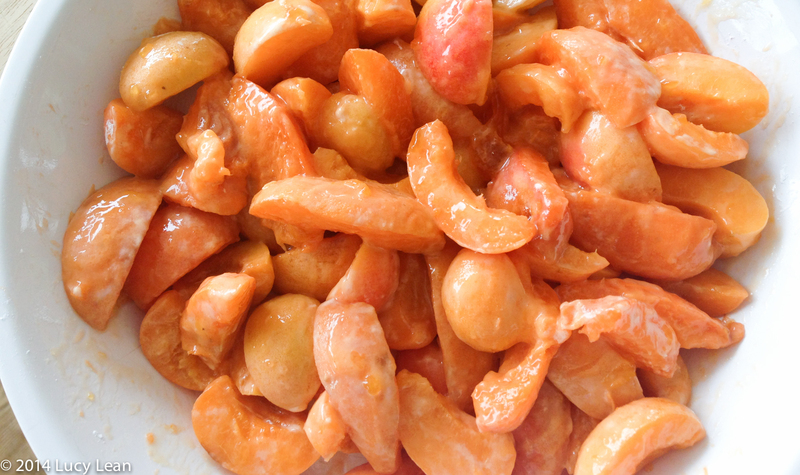 Put the apricots, cornstarch, jam and extracts into a 9 1/2 round pie dish and stir so everything is combined and the fruit is coated. Set aside to macerate. 3. In the food processor pulse the flour, sugar, cinnamon and nutmeg. 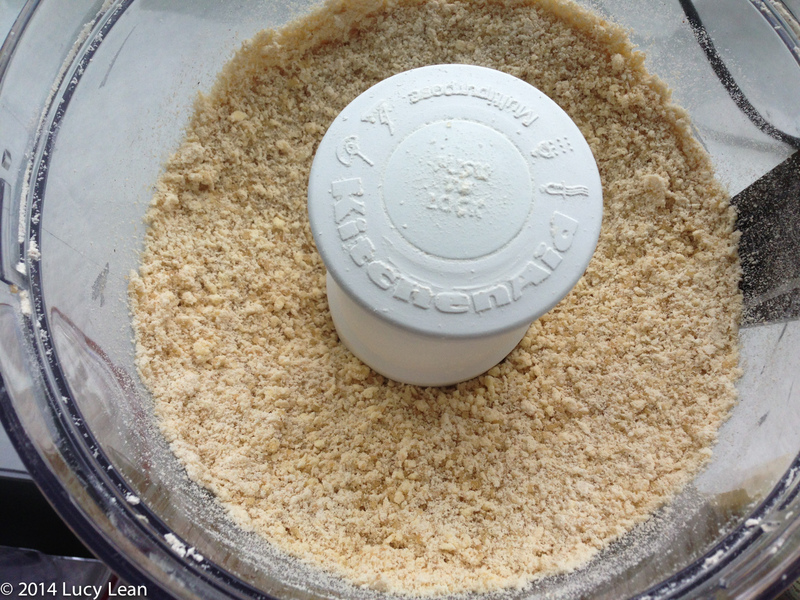 Add the chilled butter and process on high for about 5 seconds, until it looks like fine breadcrumbs. Add the ground almonds and pulse very little just to combine. 4. 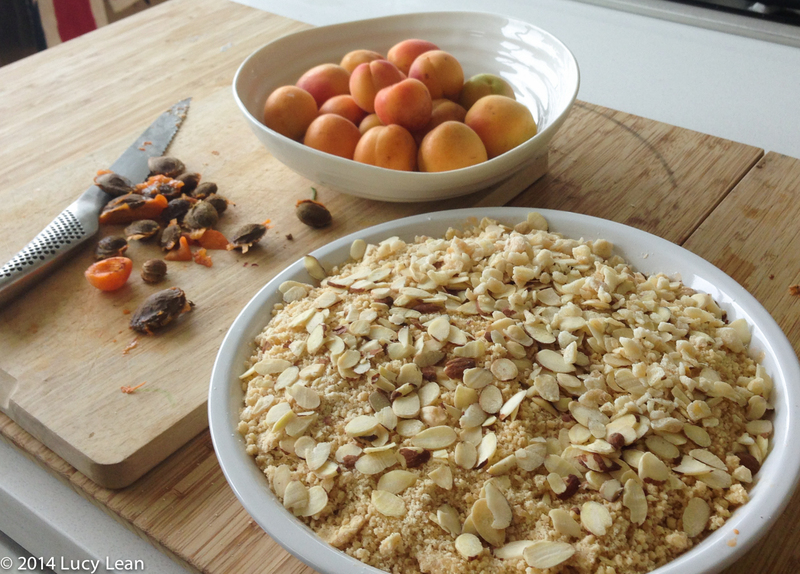 Spread the crumble topping evenly over the top of the apricots and press down gently. 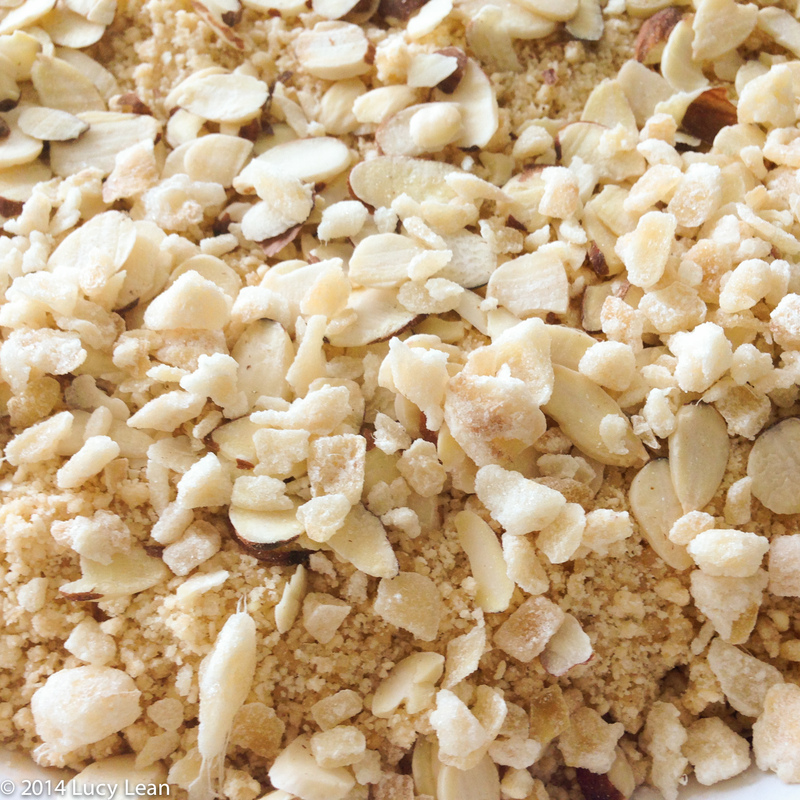 Sprinkle the top with the ginger and sliced almonds. 5. Bake in the center of the oven on the baking tray for 30-40 minutes or until golden brown and the filling is bubbling up. The tray is to catch any filling that bubbles up and over the sides. 4. Remove the dish from the oven and let cool before serving. 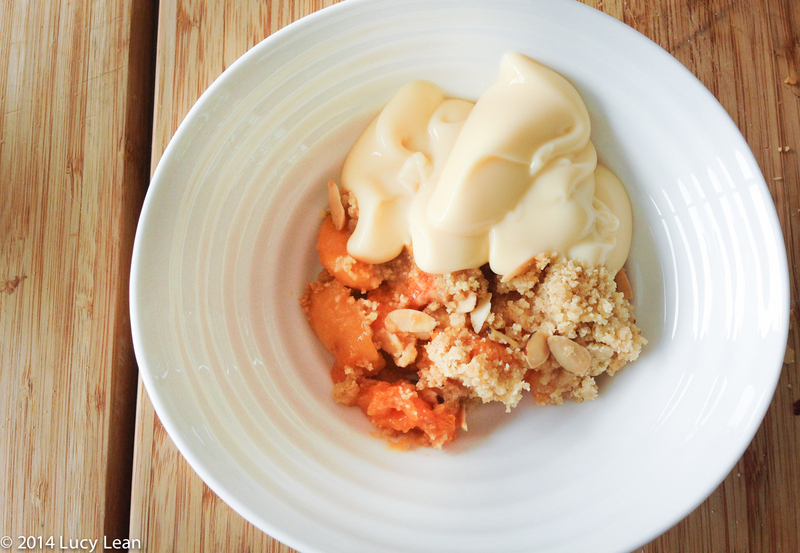 The crumble is delicious served hot of cold with rich thick custard, double cream or vanilla ice cream. Combine all the ingredients in a fancy jug and chill in the refrigerator until needed. 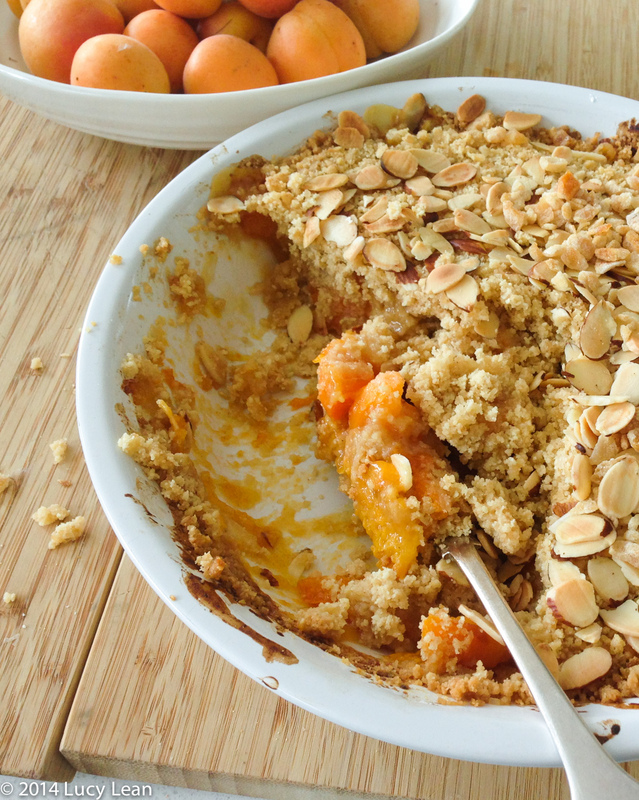 Serve over the top of the crumble. No one will ever know!